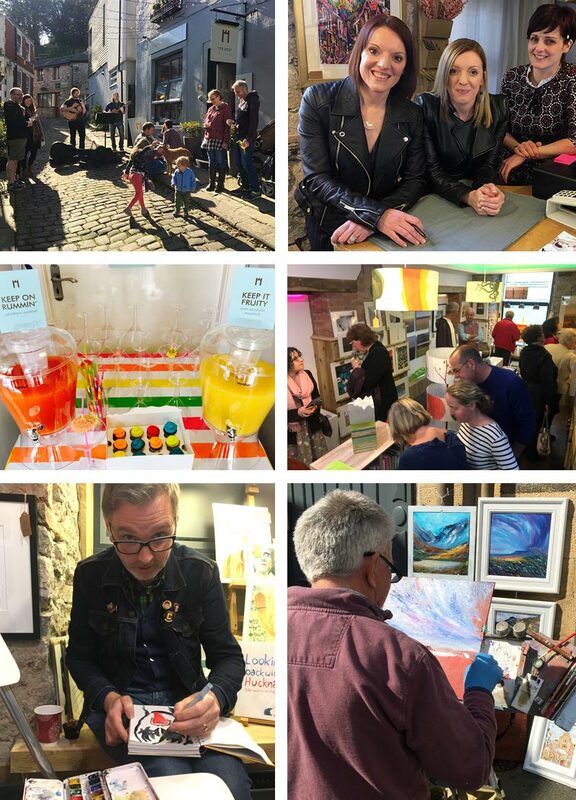 Artwalk Clitheroe is a gentle circular walking route along pavements including six fantastic galleries that our historic market town has to offer. You can walk this route at any time but please check individual gallery websites for opening times. On certain Sundays throughout the year the galleries open for special Artwalk events, often with a chance to meet artists, view work being created and if you're lucky, grab a free drink or two! (see below for details). Begin your walk at any point along the route. The galleries are dog-friendly and with a great selection of cafés, pubs and restaurants along the route, why not make a day of it? 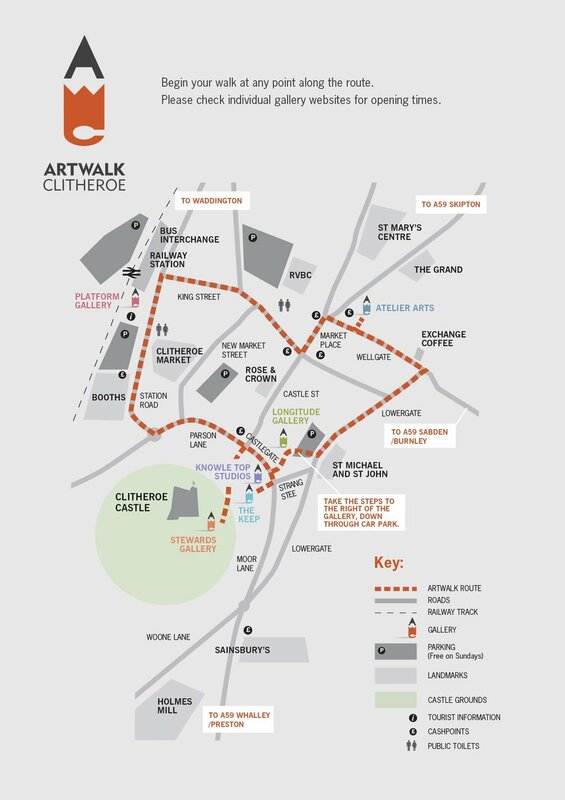 Pick up a leaflet at any participating gallery or the Tourist Info in Clitheroe or alternatively, right click on the map below and save to your desktop to print.